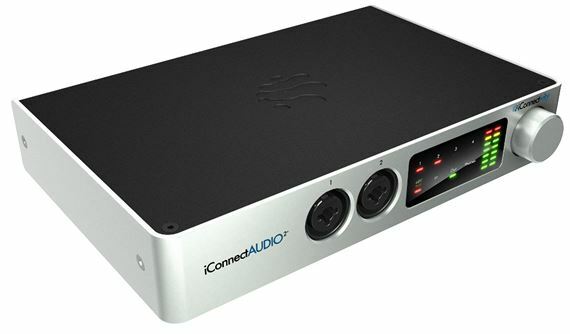 Shop iConnectivity iConnectAudio2Plus USB Audio Interface from AMS with 0% Interest Payment Plans and Free Shipping. Designed for the way you work, the iConnectAUDIO2+ is an ultra versatile 2-in 6-out audio and MIDI interface for musicians and DJs. 2 high-quality combination mic/line/instrument inputs assure that every nuance of your musical creations is captured faithfully. 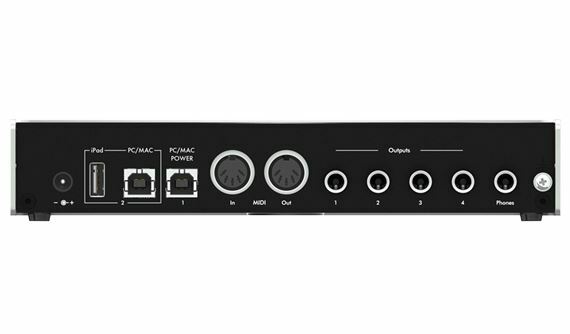 3 pairs of independent stereo outputs are perfect for DJ and electronic music applications. 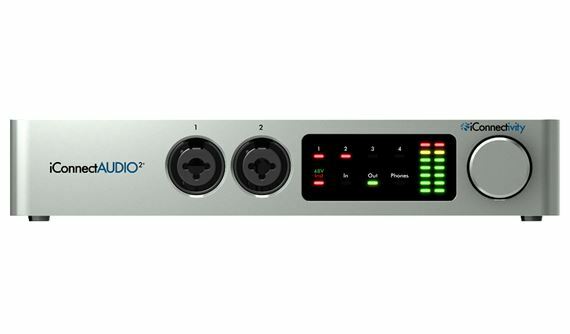 Configurable audio paths let you route, combine, and monitor signals the way you need. Advanced MIDI connectivity, routing, and management solve the connection challenges between you, your MIDI gear, and computing devices. Full compatibility with Mac, PC and iOS devices, and the ability to pass audio and MIDI from one to another unleashes new solutions for your creative process. In the studio, on stage, or on the go, iConnectAUDIO2+ lets your music go wherever it takes you. 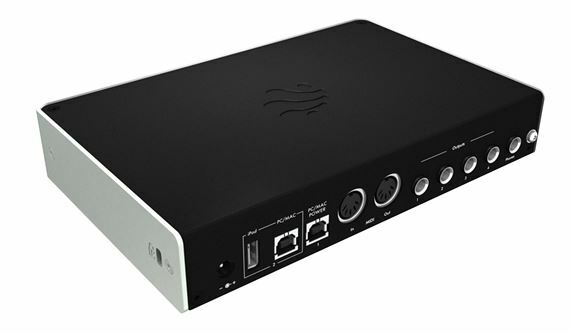 With its powerful features and affordable price, iConnectAUDIO2+ is unbeatable. What Makes iConnectAUDIO2+ Unique? - The iConnectivity Difference! Other audio interfaces have simple analog in and out, maybe MIDI in and out as an afterthought and support for only one computer. iConnectAUDIO2+ adapts to the way you create music. Bring it with you to the stage or club, record with it live, use it in your studio. Leave your power supply at home. It's built like a tank, it sounds great, and it's highly affordable. Support for two computer devices gives you more power to create. More creative workflow. Easier collaboration. Who only has one computer these days? iConnectAUDIO2+ harnesses the power of two - at the same time. One plug brings your iPad into your workflow, or maybe another musician's computer. Just use the software patchbay and everyone's talking audio and MIDI. Create with MIDI gear. Add your mics, instruments, and synths. Route your MIDI and audio everywhere. Sync everything without cables. It's the iConnectivity flexible workflow. This interface is amazing. the ability to send midi and audio between two computers is awesome. this is also my on the go interface nice and small and allows me to be portable becuase it is usb bus powered. It is also amazing becuase I can connect my IOS device to it. Amazing for handling all your midi and audio routing needs. Passes audio through lightning connection for iOS devices also.